Terry A. Moisio, Sr., age 81 of Conneaut, died Monday, January 14, 2019 at UPMC Hamot Medical Center. Terry was born on January 23, 1937 in Jefferson, OH, the son of Almer and Helen (Beaver) Moisio. He graduated in 1955 from Ashtabula High School and entered the United States Army where he served in Germany, until he was honorably discharged in 1957. Terry married Rosalie Castrilla on July 18, 1959. 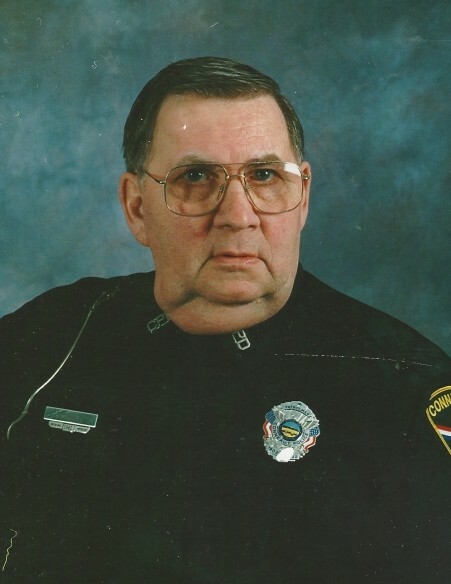 Terry worked for the Ashtabula County Sheriff’s Department as a Deputy Sheriff in 1959 and later became Patrol Sergeant, and then Detective Lieutenant before leaving the force in 1978. Terry was owner and operator of Anthony’s Pizza from 1978 to 1989, owner and operator of Krystle’s Cove and owner and operator of Terry’s Key Shop from 1975 to 2018. He returned to the police force in 1988 working as Patrol Officer and Detective for the Conneaut Police Department until he retired in 2002 and worked as a Bailiff (part-time) for the Conneaut Municipal Court until 2017. Terry was a member of the American Legion Cowle Post #151, F.O.P. Lodge 51, and the Cushman Club where he restored golf carts. He enjoyed sitting in his swing out front of his home where he spent precious time with his family and friends. He was preceded in death by his parents and brother Richard. Terry is survived by his wife Rosalie (Castrilla) Moisio of Conneaut, his son Terry (Sandy) Moisio Jr., of Conneaut, custodial daughter Lena (Thompson) (Jeff) Hebert of North Pole, Alaska, brother Tim (Karen) Moisio of Kingsville, 5 grandchildren Krystle (Gabe) Sleigh, A.J. Ford, Rachael Moisio, Jared (Janna Mino) Moisio and Taylor Moisio, 5 great-grandchildren Logan Ford, Mitchell Eaton, Miyah Eaton, Aubrianna Gibbons and Ruby Sleigh, and several nieces and nephews. Calling hours will be held Sunday, January 20, 2018 from 2:00 pm to 5:00 pm at the Raisian Funeral Home, 581 Harbor St., Conneaut. Funeral Services will be held Monday, January 21, 2018, 11:00 am at the Raisian Funeral Home, with Father Phillip Miller of Corpus Christi Parish presiding. Burial will follow at St. Joseph Cemetery in Conneaut, where the American Legion Honor Squad will conduct Military Honors. Memorial Contributions can be made to the Ashtabula County Nursing Home & Rehabilitation or the Conneaut Human Resources Center. Envelopes will be available at the funeral home. Terry's family would like to thank DaVita Dialysis, Ashtabula County Nursing Home & Rehabilitation and UPMC Hamot for the compassion and care they provided Terry.